For my doctoral program I am working on a project to think through the scriptural foundations how we view youth, evaluating the last 150 years of youth ministry development and discussing how the church should function in its ministry to youth. Essentially the major question to me that youth ministry philosophy must answer is: what is your plan for how youth will integrate into the body of Christ? Texts like 1 Corinthians 12:12-26 and John 17:20-26 require this to be a sincere goal. In fact, I think this might be the critical issue of our day because often youth graduate from high school and we go to their graduation parties, but then what? We have not helped them during their teen years to truly prepare for life beyond youth group in the church. 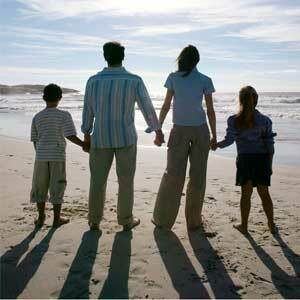 How shall we help them to be ready for the next step of the journey–belong to the body of Christ. Various schools of thought are advancing alternate views. The Family Integrated approach on the other hand demands universal and comprehensive integration as the exclusive approach advanced by their interpretation of the bible. In other words, “youth group, what’s that?” This approach might be called, integrate NOW! The path I would like to pursue seeks some of the goals of family integration without entirely dropping all of the means of youth ministry as we know it. What if an explicit goal of youth ministry was not only to develop the character and maturity of our youth, but also to create processes through which youth were mentored, connected and involved in the body of Christ? What if upon graduation, they already felt like they were meaningfully connected to a church where they were already members and welcomed? I would love to hear your thoughts. Whether you are a student, a parent, a youth pastor or just interested in this conversation. How do you think the church ought to approach ministry to youth? Do we need to abolish youth groups like the Family Integrated propounds? It’s not an easy question to answer, but we’re committed to realigning our thinking for the sake of faithfulness to God and victory in our generation. Our mission, by the grace of God, is to connect generations to make disciples of Jesus Christ. We want to promote healthy family life, equip parents to disciple their children, adopt those without a spiritual support system and connect generations within our church. In this entry, I’d like to share our Values. I’d love to hear back from you! Please write some comments about what you read below. – All families experience brokenness and sin, but are redeemed by Jesus as they look to him in faith. This December I wrote a Christmas time devotional for households for the church I serve, Cornerstone EPC in Brighton, MI called Devotions in December. It has 11 devotions to be used during advent, the four weeks leading up to Christmas. I’d love to share with you. Just click the photo above or here to visit Cornerstone’s site where it’s available as a PDF. If you think dancing is fun, (c’mon, let’s all admit that it truly is), then here’s a great multi-generational opportunity for wholesome fun. 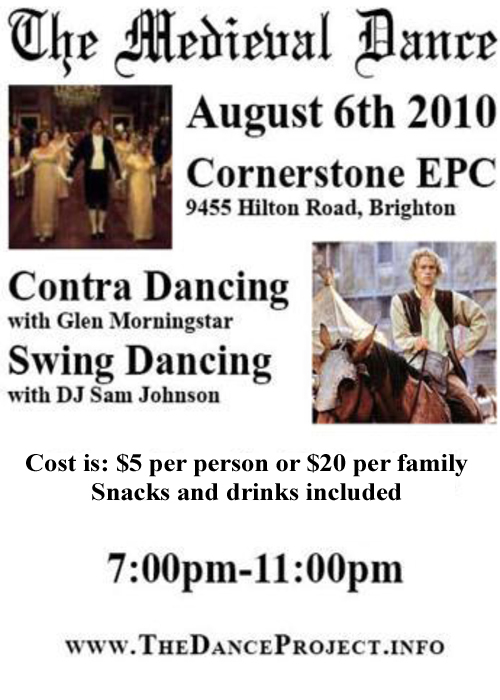 We’ll be doing both Contra Dancing (a.k.a. English Country Dancing) and Swing. This summer there are lots of great camps. My family is on a virtual tour of Europe!!! Tonight we began a very cool quest. We joined the Vision Forum Faith and Freedom Tour of Western Civilization. Doug Philips and three other associates are doing a daily video blog which users can subscribe to. Our family gathered around our computer tonight to learn about Roman Gladiators, Circus Maximus, and how Christianity eventually won the day in Rome. If you’d like to check out a preview video, check this one. Comments Off on My family is on a virtual tour of Europe!!! News release: I’m teaching a three week class at Cornerstone EPC. The Apostle John writes, “I have no greater joy than to hear that my children are walking in the truth.” (3 John 1:4) There is nothing greater than having children who know and follow Jesus. If you’re a parent, you’ve been entrusted with a special mission – you are the primary disciple maker in your child’s life. Feel overwhelmed? Well, don’t be! We want to help you. Come get a helpful mix of encouragement, training and fellowship in this brief three week series. Plus, get a free book just for coming! The basic premise of this class is that parents, not Sunday school teachers will answer to God for the discipleship of the youth of our church. If you are a parent, you need encouragement. The job is not easy. More on this in future blogs.